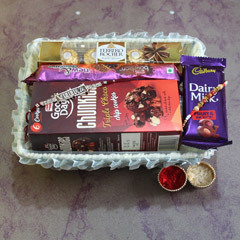 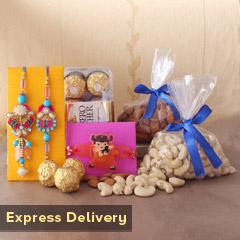 Something sweet and something salty with cookies and beautiful Rakhis are making this gift hamper impressive. 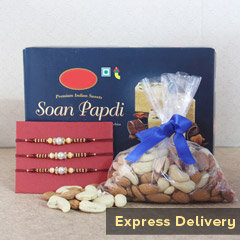 And, to delight your brother with it, you need to order it right here. 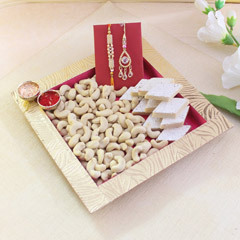 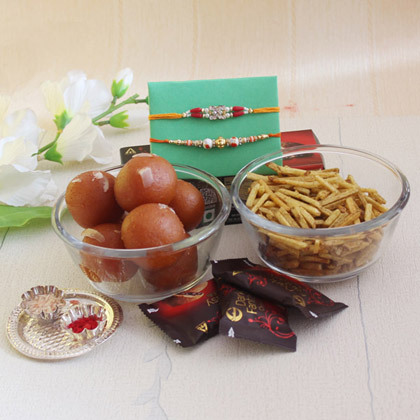 It’s a wonderful gift hamper to impress brother and make them feel loved and cared on Raksha Bandhan.